Motorkhanas: The object of a motorkhana is to test the acceleration, braking and general manoeuvrability of a vehicle and the skill and judgement of the crew members. The courses are short and the speed low with stopping and reversing tests. Currently our events are conducted on an unsealed surface. This is vital training for young members. Khanacross: Khanacrosses are an expanded Motorkhana the tracks being longer with no reversing and limited stopping, but still at relatively low speed. 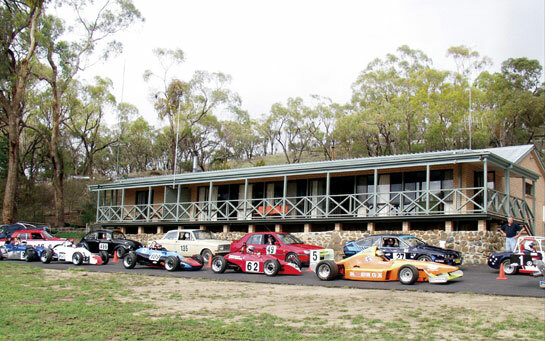 Motorkhana’s and Khanacrosses are held at the Clubs ground The Quarry at the back of Mt Panorama off College Road. The Club provides (for a small fee) cars for juniors to use. Junior members may carry a senior member as an adviser in the car during these events. Rallies: These events are held in the State forest’s in our region. Competitive section’s totaling approximately 100 to 200 km are held on closed section’s of the forest and closed public roads joined together with transport section’s. Competitor’s are timed on the competitive sections. On transport section’s normal road rules must be obeyed. Speed Events: Hillclimb’s and Super Sprints are held on Mt Panorama. Esses Hillclimb’s are conducted in reverse racing direction up the Esses starting from the Car Club at the top of Conrod Straight and finishing on Skyline. Mountain Straight Hillclimb’s are conducted in racing direction starting at the Winery on Mtn Straight traveling through the cutting and finishing at the old police compound just before McPhillamy Park. Super Sprint’s are held on Conrod Straight with the start just below the Car Club to the finish on the start line on Pit Straight. This event is conducted with 2 cars of different types and capacity starting at the one time but timed individually. You may elect to run by yourself.